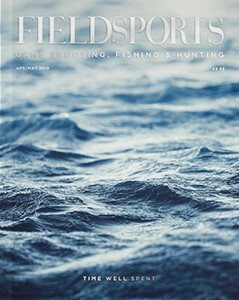 The ideal subscription for the discerning country sports enthusiast. Which lasts throughout the year. There’s no doubt the much-anticipated stint of camaraderie, excitable dogs, soaring birds and crisp days in beautiful landscapes seems to go all too quickly every year, but there’s so much to look forward to come the beginning of February. The opportunities are endless – the scope for sporting adventure is great. Including comment, opinion and advice on a rich panoply of subjects from raw diets for dogs and fibre wad cartridges, to woodland management for game and wildlife, and addressing bad habits our gundogs may have developed through the course of the season… and much, much more… You won’t be disappointed! Pay by Annual Direct Debit and never miss an issue of your favourite magazine.